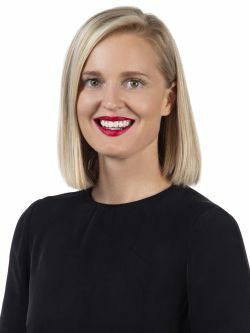 Samantha has been in Property Management for several years, experienced in both Coastal and Central Perth Real Estate. Samantha broadened her Property Management knowledge whilst working in the up market area of the West End in London for 3 years. Now settling in back at home in Perth, Samantha is looking forward to offering a high level of customer service and getting to know both landlords and tenants, ensuring all of your Real Estate needs are met. Enjoy one of the finest locations in Perth from this spacious 2014 beautifully built home located within moments of sought after schools, access to public transport and Perth's highlights. Recently painted family home, settle in before Christmas! Room, room and more room! This large unfurnished 3 bedroom, 2 bathroom home has oodles of space both inside and out the perfect home for you and your family. LIVE IN THE HEART OF IT ALL!!! This fabulous townhouse is perfectly positioned to make the most of Claremont living. Situated within a two minute walk of the Claremont Quarter, five minutes to the beautiful Swan River and a short 10 minute drive to the University of Western Australia. Ideally located townhouse in a sought after pocket of Cottesloe between river and sea. With Claremont also at your doorstep you have access to various shops, restaurants and cafe's. Nestled in a small group of only 6 this cute 2 bedroom, 1 bathroom ground floor apartment is available now! Conveniently located just minutes away from the University, the Swan River and the bustling Broadway Fair Shopping Center. Perfectly situated in the heart of Crawley this two bedroom, one bathroom apartment is in the perfect location! This gorgeous part furnished apartment is filled with lots of natural light gives you a wonderful vista all the way out to the Swan River and beyond.